As much as I love a face mask or a beauty treatment, I equally love a hair treatment. Not only are hair masks a treat for the senses because they usually smell good, but they generally need to be applied and left for a bit of time, which usually means I usually find myself unintentionally unwinding a bit... So relaxing. Today's Swoon-Worthy Beauty Gift is actually a travel kit, but it makes a lovely present for anyone who enjoys taking good care of their hair. It's a 3-step routine that can be used a couple of times for special haircare treat. I have a medium length bob and I was able to squeeze at least 3 generous applications out of each of the products. One thing that's great about this set is that it comes in a reusable clear plastic zip bag that can be used for carry-on travel. If you've got a beauty buff on your Christmas shopping list that travels regularly, she'll love this gift for sure. 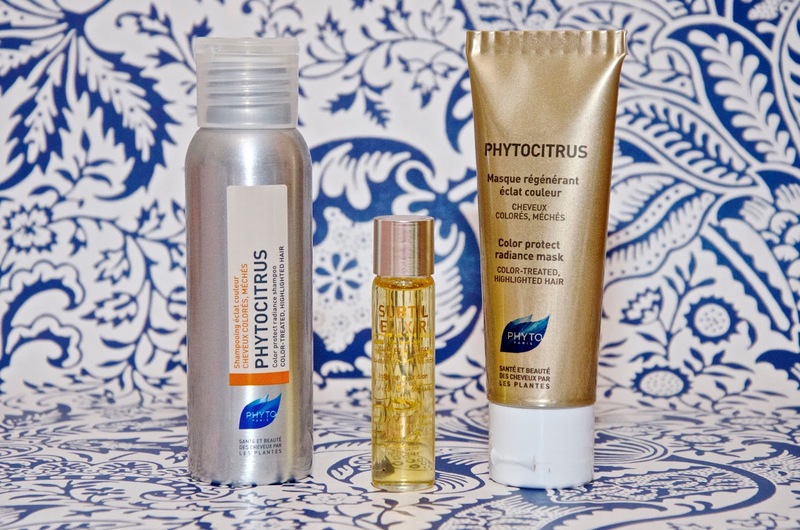 The set includes travel sizes of the Phytocitrus Color Protect Radiance Shampoo, the Phytocitrus Color Protect Radiance Mask and the Subtil Elixir Intense Nutrtion Shine Oil. If colored hair isn't something that pertains to (you) the person you're shopping for, then there are other Phyto Travel Gifts for various hair types. Though I have been to salons in the past that used Phyto, I'd never tried any at home and I was really impressed with these products. The process starts with applying the Subtil Elixir Intense Nutrtion Shine Oil on your hair when it's dry and leaving it for 10 to 20 minutes depending on how much you need it, massaging it into the lengths and ends. Following that, you wash your hair with the Phytocitrus Color Protect Radiance Shampoo - I do two washes. Finally, you finish by applying the Phytocitrus Color Protect Radiance Mask, combing it through and leaving it for 2 to 5 minutes. I like to give myself a little DIY head massage while the mask is working, for a nice relaxing treat. After doing this routine, my hair is shiny, soft and recharged. It's a great treat for tired, dry and color-treated or highlighted hair. I wouldn't want to do this routine every day, but it's great for giving my hair a boost every now and again. 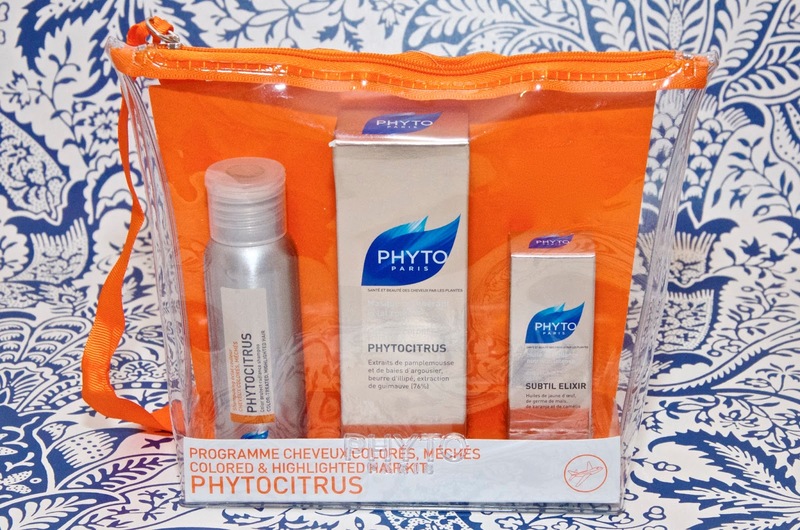 The Phyto Colored Hair Travel Kit is worth £30, but you can get it for £22 on lookfantastic.com and they are currently offering a free gift with purchase of the Phytoelixir Cleansing Cream when you purchase two products from the Phyto range. 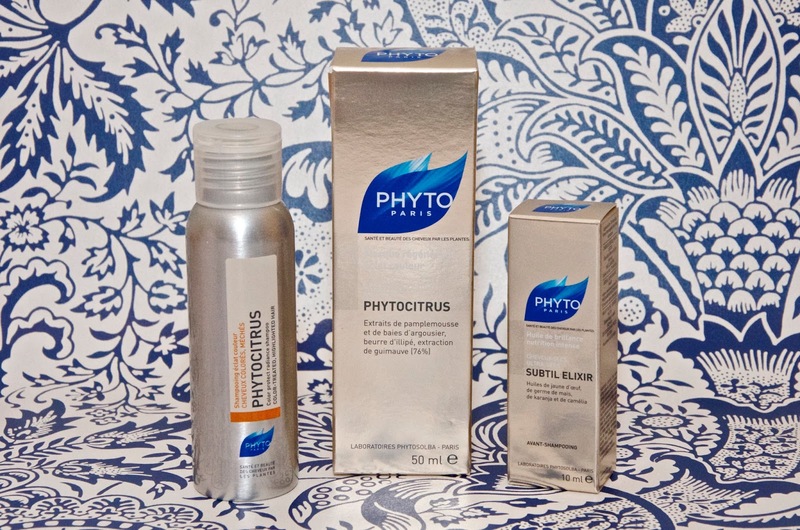 Other Phyto Travel Kits range from £15 to £22 and can be found here.